Fortrade Review: Can You Trust Them? Fortrade is a UK-based derivative brokerage firm that offers customers a platform for trading forex and Contracts for Difference (CFDs). CFDs allow traders to speculate on the price of assets without actually owning them in their accounts. Fortrade offers customers CFDs on forex, cryptocurrencies, stock CFDs, index CFDs, precious metals, energy products, agricultural products, US Treasuries and ETFs. Fortrade traders have a choice between the broker’s proprietary Fortrader platform and the popular MetaTrader4 (MT4) platform. Both are available via web-based, desktop or mobile interface. Traders can access over 300 financial assets and employ leverage of up to 1 to 200 on forex pairs and 1 to 50 on commodity and index CFDs. Fortrade emphasizes its user-friendly technology, scalable platform and its regulation by one of the top international regulatory bodies – the Financial Conduct Authority – as its strengths. Traders looking for a broker that is regulated across the European Union and offers access to CFDs across several major asset classes may want to investigate the offerings at Fortrade. Please remember that trading CFDs exposes traders to the possibility of losses. While Fortrade won’t allow you to lose more than you have invested in your Fortrade account, CFD trading is for experienced traders. 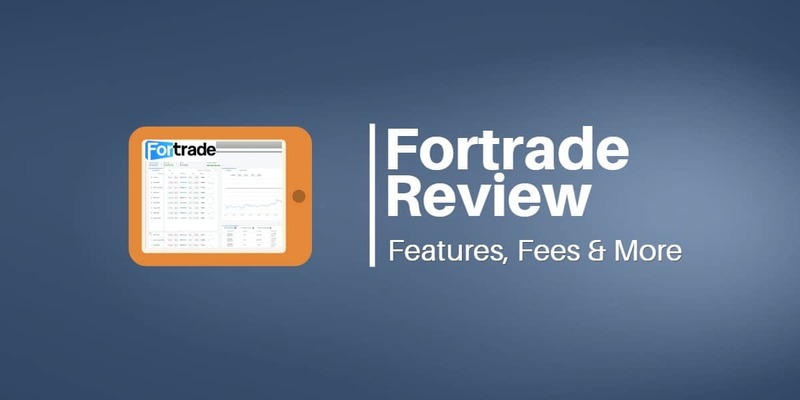 This Fortrade review will cover all of the important details about the broker to help you make an informed opinion about its products and services. What Could Fortrade Do Better? Fortrade is operated by Fortrade Limited. The privately held firm was incorporated in the United Kingdom on July 22, 2013, under the name Integrisafe Ltd. The firm changed its name to Fortrade on May 19, 2014, and was registered by the Financial Conduct Authority (FCA) on May 20, 2014. Fortrade has headquarters in London, United Kingdom. Its Financial Reference Number issued by the Financial Conduct Authority is 609970. Fortrade provides customers with customer support 12 hours a day between 9 am and 9 pm local time in the United Kingdom. During this period, traders can contact the firm by phone or by live chat. Traders can also contact Fortrade customer support by email and through an online form where they can leave a callback number and/or email for Fortrade to contact them. Traders can view the Fortrade website in English, German, Spanish, French, Croatian, Italian, Dutch, Polish, Portuguese, Slovene, Swedish, Russian, Arabic, Albanian and Macedonian. Phone customer support is also available in multiple languages. We believe Fortrade is trustworthy since it is registered with one of the leading international regulatory bodies. The Financial Conduct Authority (FCA) regulates the firm in the United Kingdom (FCA registration number FRN 609970), while the Markets in Financial Directive (MiFID) allows the company to operate as a regulated entity throughout the European Union. Fortrade clients can also take comfort in the fact that the broker’s financial statements are audited by Fisher Sassoon and Marks – one of UK’s specialist financial services accounting firms. Financial Services Compensation Scheme (FSCS) may cover up to £50,000 if Fortrade fails. The UK’s Financial Conduct Agency (FCA) regulates Fortrade’s activities in the United Kingdom. The FCA is widely respected as a leader in financial regulation. In addition, the United Kingdom scores highly in Transparency International's rankings of countries based on their corruption perceptions index meaning the UK is a pillar of anti-corruption. Fortrade’s customers in the United Kingdom are protected by the UK-based Financial Services Compensation Scheme (FSCS), which was established to protect consumers when authorized financial services firms fail. FSCS pays compensation up to £50k to customers in the United Kingdom if Fortrade is unable to pay. Fortrade’s Financial Services Register reference number is 609970. The CEO of Fortrade Ltd., since April 2015, has been Nick Collison. 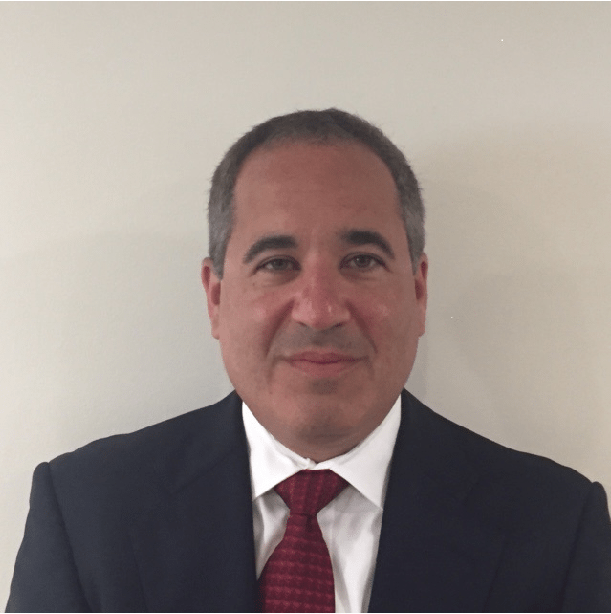 Nick has over 20 years' worth of Senior Management experience within the financial services industry including proprietary trading, fully systematic algorithmic trading and forex & CFD matched principle broking. Prior to and contemporaneous with joining Fortrade, Collison served as a Director at Saxon Cambridge Algorithmic Research Ltd. (2009 to 2016). He served as a Managing Director at Saxon Financials between 2000 and 2010. Fortrade offers customers CFD trading in over 300 instruments grouped into nine categories: forex, cryptocurrencies, stock CFDs, index CFDs, precious metals, energy products, agricultural products, US Treasuries and ETFs. Fortrade keeps things simple and only offers one standard trading account to its customers. To open an account, Fortrade requires a minimum initial deposit of €/$/£100 depending on the base currency of your account. However, the broker recommends that traders make an initial minimum deposit of at least of €/$/£500 in order to maximize the benefits of trading with Fortrade. 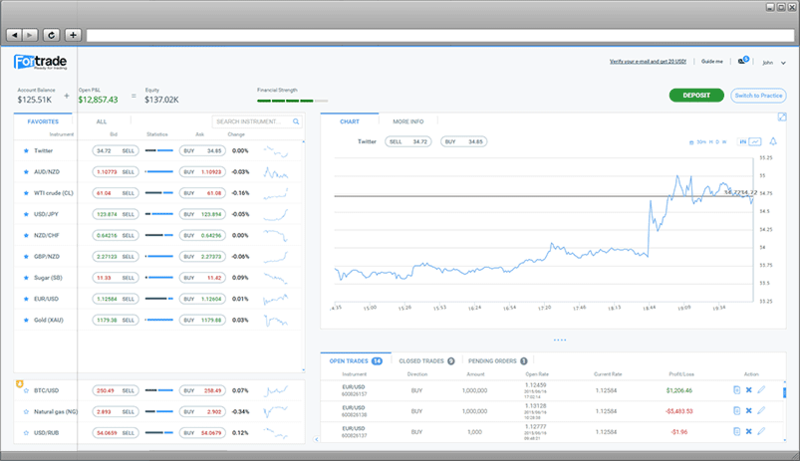 After signing up for an account, Fortrade directs you to its practice (demo) mode, which provides real-time charts and quotes for hundreds of financial assets. You can use the practice mode to explore all the features, tools and products available inside the live trading platform. There is no time limit to the practice account. 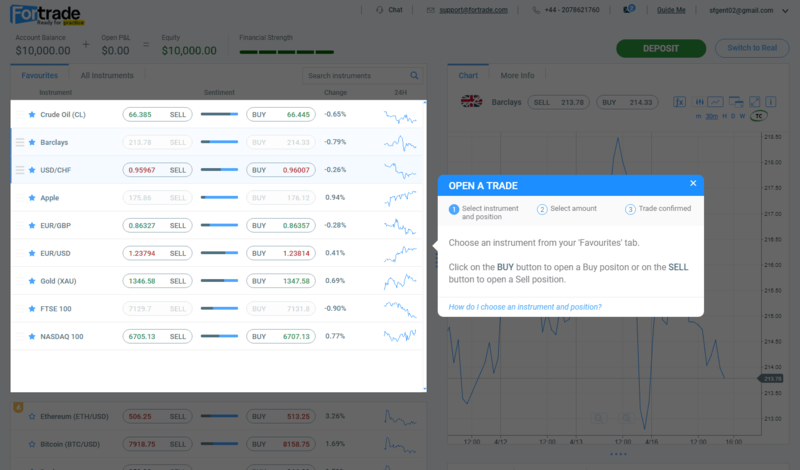 Fortrade deposits an initial notional sum of €10,000 of practice money into your trading account, allowing you to learn and practice online trading in a real trading environment. Fortrade also offers an option to open an Islamic account. These accounts pay no rollover interest on overnight positions in accordance with Sharia law. Islamic accounts require a minimum balance of $2,000. Fortrade receives its compensation in the form of the market bid/ask spreads on each instrument. The most liquid forex pairs such as EUR/USD and GBP/USD and USD/JPY have recently had average spreads of 2 pips. USD/CAD, USD/CHF and EUR/CHF have recently had average spreads of 4 pips, but depending on the time of days these have been wider. All of these spreads are not fixed spreads and may vary with factors such as liquidity and volatility. Average spreads over a recent three-month period were $100 for bitcoin, $6.5 for Dash, $5 for Ethereum and $7 for Litecoin. These are not fixed spreads and may vary with factors such as liquidity and volatility. Spreads vary by index and depend on factors such as liquidity and volatility. Recent sample average spreads include AUD 5 on AUD 200, £2 on FTSE 100, 2.5 on GER30, 1.5 on NASDAQ 100 and 0.11 on USDX. Fortrade offers trading on a wide range of stock CFDs. Traders can consult the Fortrade website for details about spreads on stock CFDs. Spreads vary by commodity and depend on factors such as liquidity and volatility. Recent sample average spreads include 0.75 for corn, wheat and soybeans; 0.07 for Brent Oil; 0.008 for natural gas; $0.04 on crude oil; $0.45 for gold and $0.04 for silver. Recent average spreads have been 0.07 for US 5Y Note and US 10Y Note and 0.09 for US 30Y Bond. Recent average spreads have been 0.14 for SQQQ and TQQQ and 0.03 for USO. Withdrawal Fees: Any International Telegraphic Transfer (TT) Fees incurred by Fortrade are passed on to the customer. Most International TTs are approximately $40. Overnight Funding Fees: This overnight Fortrade fee (or credit) is either added to or subtracted from a trader’s account when a position remains open past a certain period of time. Traders can obtain information on overnight funding rates on the website. Dormancy Fee: If for any consecutive period of 180 days, you do not trade on your Client Account, then Fortrade considers the Client Account to be inactive or dormant. Fortrade charges a monthly administrative fee on dormant accounts of USD $10.00 (or a similar amount in such other currency). Fortrade stops charging this fee if the balance in the client’s account reaches $0. When you click on the blue Sign up button on the Fortrade website, Fortrade asks you to enter your name, email and a mobile number. Fortrade then asks you to choose your country of origin from a drop-down menu, the base currency for your account (USD, EUR or GBP) and a password for the account. You'll also need to fill in your date of birth and physical address. On the next screen, Fortrade asks you a few questions about your financial and employment situation and your trading goals. The whole sign-up process only takes a few minutes. To pass their identity verification, you will need to upload one document for proof of identity and one for proof of address. You can fax, email or upload these documents to Fortrade. Wire transfers incur a transaction fee of up to 40 (£/$/€). The fee is dependent on your bank and how you choose to pay the fees. Wire transfers take up to 5 business days for funds to be credited to Fortrade’s banking account. Fortrade requires a minimum deposit of £100, but the broker suggests customers deposit at least £500. To ensure you can cover any losses you might incur on your positions, Fortrade requires sufficient collateral or margin. 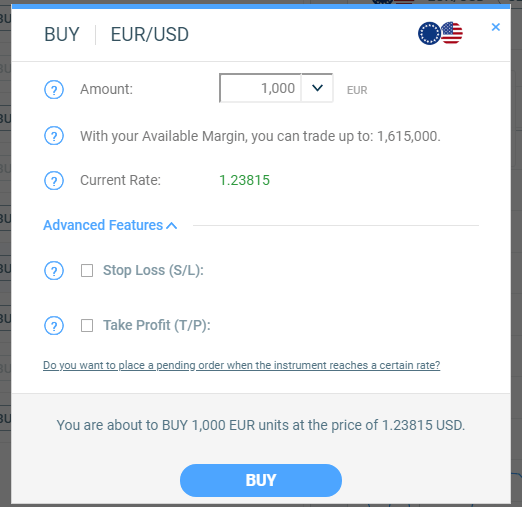 The margin available in your account will limit the size of the positions you can open. Fortrade requires a specific margin to be available in your account for each trade that you execute. You can see Fortrade’s Margin Rates list under the “trading conditions” section of their website. Traders who fall below the Fortrade margin requirements risk receiving a margin call and having their position closed prematurely. To withdraw funds from your Fortrade account, you log in to the trading platform with your Fortrade credentials and go to “Deposits/Withdrawals” located inside the drop-down menu in the right corner of your screen. You then select the preferred withdrawal method and enter the amount and any other account information that may be required. Fortrade processes all requests within two business days after they are submitted. Withdrawals made by Bank Wire Transfer usually take up to 5 business days to reach your account. Withdrawals to credit/debit cards can sometimes take up to 15 business days to reach your account. The Fortrade proprietary software has three types of platforms from which to choose: Desktop Fortrader, Web Fortrader and Mobile Fortrader. When you open the web-based Fortrader platform, the system opens with a tutorial on how to begin using its tools and functionality. The system also defaults you to the practice mode. Both of these are nice touches since many other platforms simply place you in live mode with no instructions on how to trade using their software. The platform has a very generic feel to it, which isn’t necessarily a bad thing. It simply depends on what you’re looking for. Beginner traders are likely to appreciate the way all of the instruments are sorted by category on the left side of the screen. The ticket similarly doesn’t have a lot of bells and whistles, but the basics to execute an order. The charting features of the Fortrader platform have fewer drawing tools and technical indicators than some of the most advanced charting packages found at bigger firms such as TradeStation or Interactive Brokers. However, Fortrade encompasses some advanced “hand-holding” tools that some of the bigger firms often overlook. For example, there is the link to Trading Central, which provides actionable real-time trading advice. It seems that novice traders could take advantage of this link to Trading Central and use these tools to become more familiar with trading patterns. Below the charting section is a basic position management section with open and closed trades. We wished there was more functionality and search incorporated in this section to facilitate trade management for more active traders. Overall, the Fortrader software is adequate if not a little bit on the basic side. 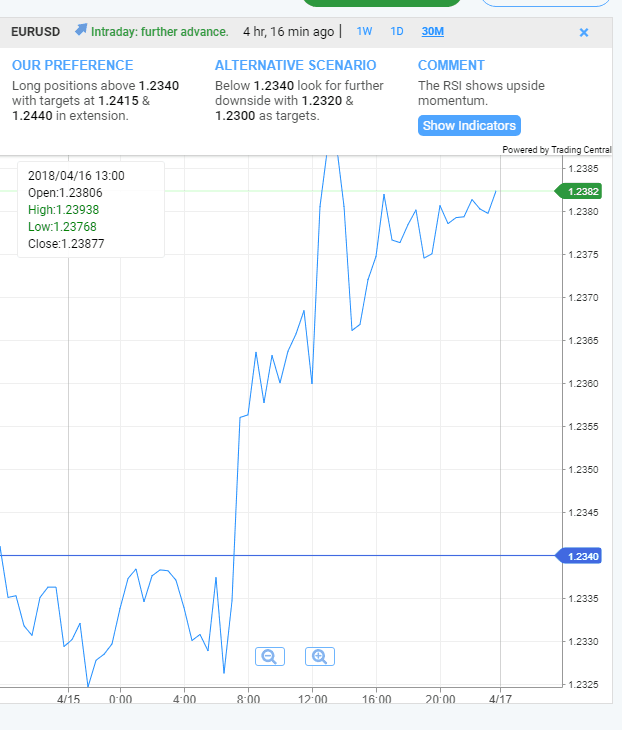 While beginning traders will appreciate its ease of use and simplicity, more active and advanced traders may opt for the MetaTrader 4 (MT4) software as an alternative. Fortunately, Fortrade supports this option, which gives traders of all levels a reason to be happy. After you sign up for a Fortrade account, the broker directs you to the practice or demo account. Traders receive €10,000 in virtual funds in this account and can practice on it for as long as they wish. To switch from Practice trading mode to Real trading mode, simply click on the “Switch to Real” button located both in the top right corner of your screen and inside your account drop-down menu. At this point, if you have not yet fully registered your account, you will then be prompted to do so in order to start trading with real money. The demo accounts look like the live accounts and traders get the same functionality. Fortrade has several resources on the Education tab on its website. This section is broken down into four sections: Our Trading Academy, Highlights, Market Analysis and FX & CFD Trading Tools. Forex and CFD eBooks: These books explore the vocabulary used by both novice and professional traders. Beginner Trading Courses: Video courses covering novice topics such as basic forex terms, winning trading tactics and order types among others. Advanced Trading Courses: Video courses covering more advanced topics relating to commodities, futures, CFDs and stocks. Trading Videos: Videos ranging from a few minutes in length to almost an hour that cover everything from technical analysis to capital management to trading psychology. Top Day Trading Strategies: Strategies geared toward short-term focused traders. Forex Trading Webinars: Free webinars covering a variety of trading topics. Guardian Angel: A new Fortrade tool, the Guardian Angel is an automated professional system which allows you to receive notification messages while trading. The messaging tool delivers real-time trading feedback in accordance with the user’s personal preferences and investment goals. Trading Central and Trading Central Analysis: Real-time comprehensive research. This section contains real-time fundamental and technical analysis of markets. There is also an economic calendar and a historical overview of markets. This section contains quantitative tools traders may use to manage their trading: currency converter tool, pip value calculator, swap rates calculator and margin percentage calculator. While the Fortrade education section is fully loaded with an endless amount of resources, many of these came across as stock and generic to us. As with many trading sites, unfortunately, there seems to be a greater emphasis on quantity than quality. Fortrade offers two types of bonuses to traders: a Balance Bonus and a Credit Bonus. Balance Bonus – This is the standard bonus Fortrade grants you when you make a deposit to your account. This bonus is entirely at Fortrade’s discretion. Credit Bonus – This is an alternative bonus with additional Terms and Conditions. It is also entirely at Fortrade’s discretion. Fortrade grants Balance Bonuses to accounts only after new customers complete the full document verification process. Traders cannot withdraw Balance Bonuses until they reach their target volume, which is set according to the bonus amount given. The client has to fill a trading requirement of 0.1 lot for every 1 USD/GBP/EUR bonus given in order to reach their target volume. For example, if a client received a 100 USD/GBP/EUR Balance Bonus, he will have to trade 10 lots before his Balance Bonus is converted to balance and becomes a part of his capital. Traders can consult the Fortrade website for additional details about this bonus. Customers have to reach their target volume before they can lose or withdraw their Credit Bonus. The target volume is set according to the bonus amount given. If a client fails to reach their target volume, Fortrade removes the credit bonus automatically when their equity falls below the credit bonus amount. Essentially, this stops you out and your open positions get closed accordingly. If a customer fulfills the required amount of 0.10 lots for every EUR/ USD/GBP of cash credit bonus, the bonus automatically become a part of capital and can be withdrawn or used for trading. A customer can reactivate a Credit Bonus if they re-deposit at least 30% of its value. Customers should consult the Fortrade website for more details about how both of these bonuses work. Please note: As of January 2018, brokers that are regulated within the EU are unable to offer sign-up bonuses to customers. This is due to the MiFID legislation mentioned previously which aims to create more transparency and protection for traders.